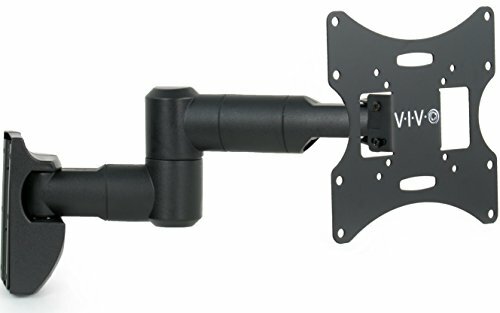 MOUNT-VW06Q is a fully articulating TV wall mount from VIVO featuring simple assembly and fluid movement for easy screen positioning. Features include +15 to -15 degree screen tilt and +90 to -90 degree TV swivel for creating maximum viewing angles, and an internal cable management system to conceal power and video cords. This is compatible with most brand TVs and fits VESA 75x75mm, 100x100mm, 200x100mm, 200x200mm. Assembly is simple and we provide the necessary hardware to get screen properly mounted.